Sasakawa USA is proud to sponsor a Congressional Fellow each year through the American Political Science Association’s Congressional Fellowship Program, the nation’s oldest and most prestigious Congressional fellowship. Spanning one year, the Sasakawa USA Congressional Fellowship provides a unique opportunity for recipients to serve in a Congressional office and gain hands-on experience in the U.S. legislative process. Beginning in September, the Fellow participates in a two-month course on Congress and foreign policy at the Johns Hopkins School of Advanced International Studies in Washington, D.C. The course is followed by a month-long orientation in November and assignment as a full-time legislative aide in a Congressional office from December to August of the following year. The Congressional Fellowship application process is now closed. Koki Fukasaku was born in Lima, Peru and moved to Japan six months later. He graduated from Seikei University, Faculty of Economics, and started his career at the Center for International Youth Exchange, where he worked for the Cabinet Office’s programs for two years. 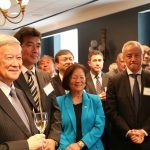 He was then selected to be an Extra-Chancellor at the Embassy of Japan in Washington, DC, where he served for three years. Through his experiences at the Embassy, Koki decided to devote his life to the stability and peace of Japan by strengthening the ties between the U.S. and Japan. 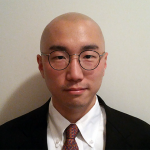 Masatoshi Asaoka is a Masters candidate at Georgetown University School of Foreign Service with a focus on Asian Studies. With a concentration is East Asian politics and security, Asaoka is currently working on his graduate thesis on defense cooperation between Japan and the Republic of Korea. After graduate school, he plans to focus on assisting countries in the Asia Pacific region elevate their cooperation and improve the lives of the people in the region. He completed his undergraduate studies at Akita International University in Japan, spent a year at the American University of Beirut in Lebanon, and was an exchange student at the College of William and Mary in Virginia, where he also participated in the W&M in Washington Program. He was born in Aichi, and his family currently lives in Nagano, Japan. Alex Saito was born in Madrid to a Spanish father and Japanese mother. His family lived in Madrid for five years then moved to Osaka, Japan, where Saito attended school. 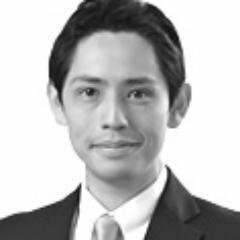 After graduating from Doshisha University in 2008, he started his professional career as an M&A Advisor at Daiwa Securities, then moved to SMBC Nikko, another major Japanese securities firm. In 2013, he left the investment banking business to enroll in the Matsushita Institute of Government and Management (MIGM). Established in 1979 by Konosuke Matsushita, the founder of Panasonic Corporation, MIGM’s mission is to help shape the future of Japan, especially in the political field. Since joining MIGM, Saito has conducted several studies and activities on policies aimed at fostering a better Japan. Saito wants to devote himself to improving Japan and hopes to accomplish his goal by serving his country in politics. For his Congressional Fellowship, Saito worked in the office of Rep. Chuck Fleishmann (R-TN) through July 2016.